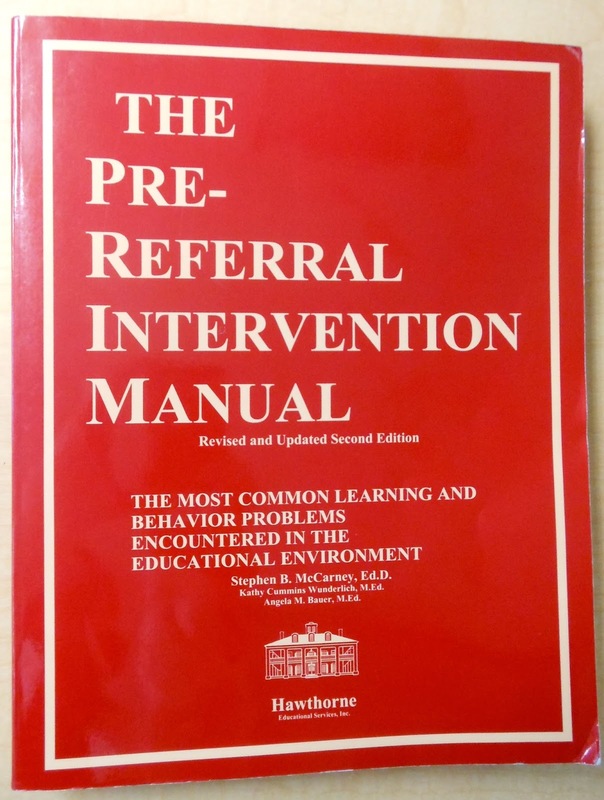 There is one resource I can't live without: The Pre-Referral Intervention Manual by Stephen B. McCarney. I have the 2nd edition, although the 4th edition is now available. This should be on every single teacher's bookshelf! 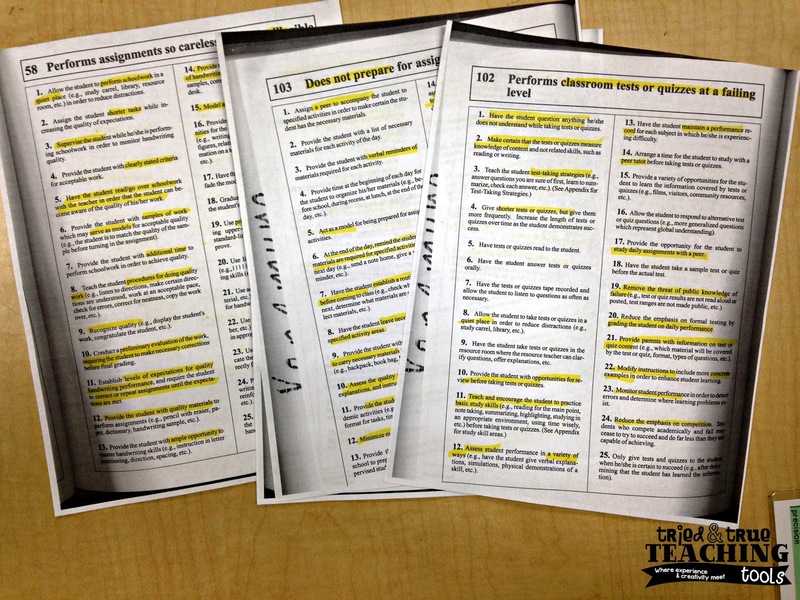 I give a copy to student teachers as an end-of-student-teaching gift! My own copy is dog-eared and filled with post-its & highlighting! It can be used to develop a comprehensive plan of intervention strategies for a student. You look up an issue in the Table of Contents (it's divided into behavioral issues, work habits, as well as academic topics) and then pages with solutions and strategies are listed. Before ever referring a student for an SST (Student Success Team), I always look up the problem(s) a student is having & try the multitude of strategies, highlighting or checking them off. It's helpful to date when you tried the strategy. There are good reminders of what we already know to do, as well has specific techniques or hints that we may have not yet tried. I've also used this book to copy pages for parents to try at home. This is a definite must-have!! I'm glad you're familiar with the PRIM!! It's invaluable! Thanks for stopping by, Julie! I have heard great things about this manual... I have started looking into buying it but its a bit pricey... I am a second year teacher with 3 students in need of behavior interventions ...where do you buy the book??? This resource is pricey, but DEFINITELY worth the price!! I've had mine for YEARS and have used it countless number of times!! You can buy it on Amazon (but it used); just click on the picture above and it'll take you to the direct link. You'll find yourself turning to this book over & over again!! It's so helpful, even for experienced teachers! !